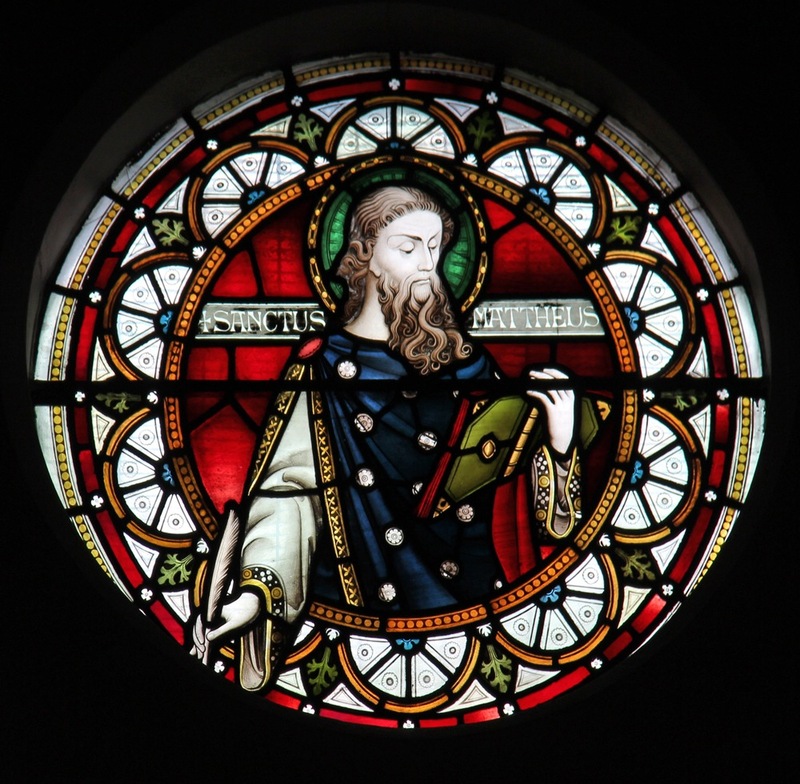 St. Matthew in the rose window of St Andrew's, Stockwell Green, London. The whole window is attributed to Lavers & Westlake, date unknown (but another window in the church, also attributed to the firm, is in memory of someone who died in 1880). Eberhard, Robert. "Stained Glass Windows at St Andrew Stockwell." Church Stained Glass Windows. Web. 17 October 2016.